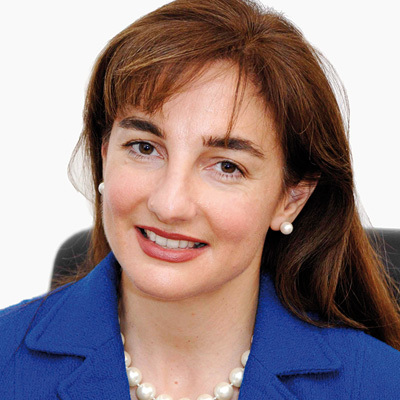 Dr Florence Eid-Oakden is the CEO and Chief Economist of Arabia Monitor. She has been a professor of economics and finance at the American University of Beirut and a visiting professor at INSEAD and HEC Paris. Formerly head of MENA research at JP Morgan, Dr. Eid-Oakden has also worked with the World Bank on Latin America & North Africa and on the buy side as a hedge fund investment professional. She serves on the Board of Directors for the Arab Banking Corporation International Bank in London and in Jordan, the Arab Bankers Association of North America in New York, and sits on the Advisory Council of the Al Faisal University College of Business, Saudi Arabia. She has also served as a Trustee of the American University in Paris, and a Director of Shuaa Capital in Dubai. Dr. Eid-Oakden received her Ph.D. in Organization Economics from the Massachusetts Institute of Technology (MIT) with a joint MIT-Harvard Doctoral Committee.